How To Have Permanent Weight-Loss Success for a More Confident and Happier You! Change Your Mind, Change Your Body: How to Have Permanent Weight-Loss Success for a More Confident and Happier You! by Wendy Higdon, M.A., LMFT is a useful tool for all those who are looking to reduce their weight. The author shares her personal struggles with weight issues and she also guides readers through the difficult task of keeping it off by changing our attitudes towards what we are eating. The book is not the usual guide about how to lose weight, but it challenges the thought process that helps in losing weight. The step-by-step solutions offered by understanding our mindset, behaviors, and how to fit our food patterns accordingly are helpful and makes weight loss attainable. The lists, the steps, and the practical questions given by the author are encouraging to readers and she will help you identify the beliefs and thought patterns that exist within us and make the necessary changes. The book will help readers overcome their resistance, develop new beliefs when it comes to food patterns, and empower themselves to reclaim their lives. The tips and techniques shared are not complicated and can be practiced to stop the never-ending cycle of disgust, self-hatred, and frustration with weight issues and food. 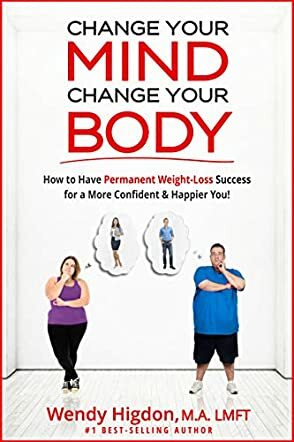 It’s a book worth having in one’s personal collection as the concepts and applications of changing thoughts and behaviors to conquer weight loss are life-long. The author speaks about the topic extensively and methodically, giving readers an idea of how to make changes in their eating habits so that they can have better health, energy, and greater happiness.